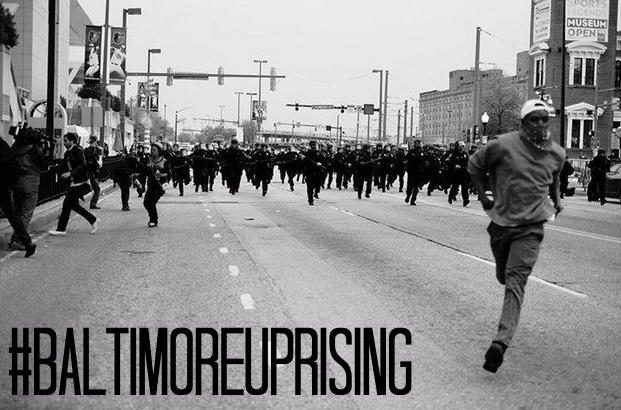 Following the death of a young Baltimore man, the city is currently uprising against the oppression of police brutality. Celebrities are reacting as the city stands up. Check out what they are saying below. Everytime a person articulates the pain of the people they have a breaking story. We have to stop letting the news come in our hoods without telling our story. Helicopters too. Read this quote by Dr. King before you fix your lips to tell me what Dr. King had to say about riots. It would be morally irresponsible to condemn riots without condemning the cause. Gotta love folks trying to keep King in that marble statue. Locked inside a holiday, a catchphrase. Pulling him out when convenient. Shame.